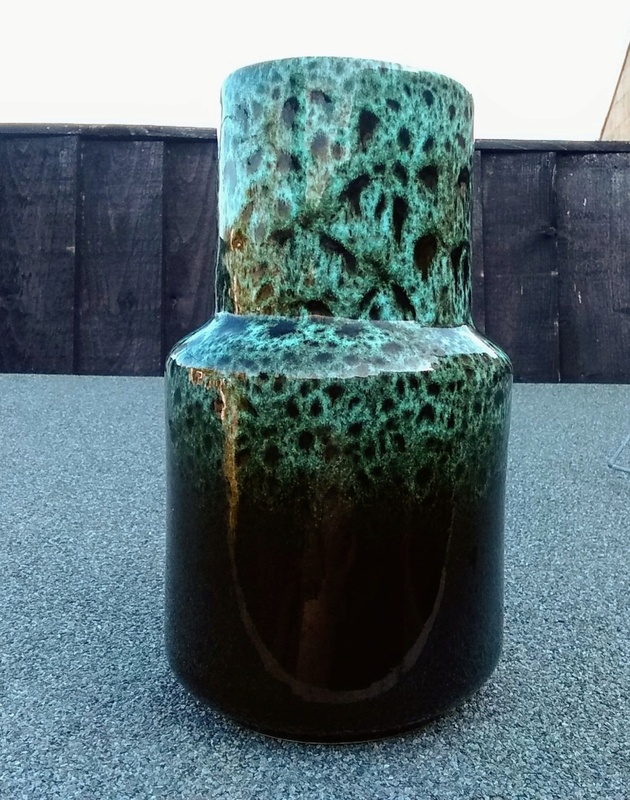 I thought this was a Fosters vase but can't find a similar shaped vase by them. That and the mark is making me think it's not theirs afterall. 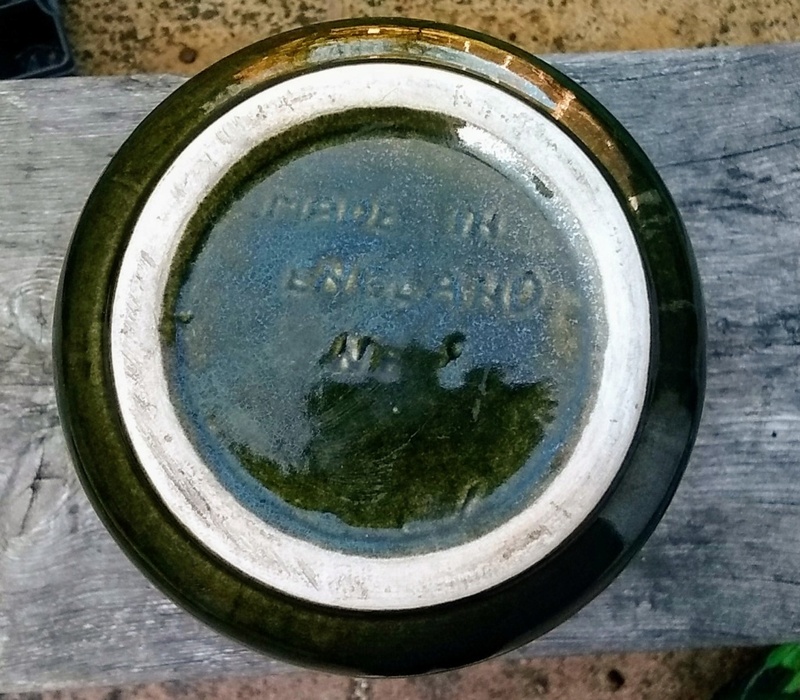 The base reads MADE IN ENGLAND No.8. Thanks Naomi. Tried that and got nowhere. Is it my imagination or is Google's search getting more random? Yeah, I tried that. I even tried the old '+' technique but it still gave me loads of totally irrelevant images along with a handful of relevant ones. I'm sure that No.8 holds a clue. I just don't have the knowledge to put all the clues together.